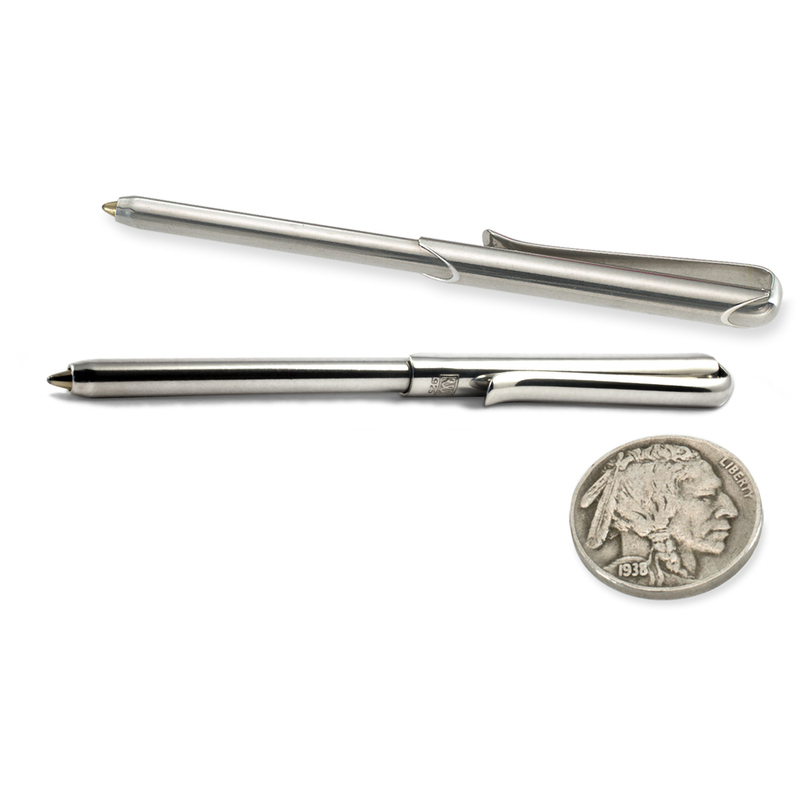 Our sterling silver pen is not just a pen, it is a key, which makes life easier; better somehow. It will convey numbers, locations and solutions, grocery lists, stock tips and inspiration. It is a sterling symbol of preparedness. It is a grown-up pass in the halls of distinction. Our Sterling pen with ornate tooling on the upper barrel, carries forward our tradition of simplicity and elegance. In function and size it is identical to The Original™. Many are surprised to learn that each pen is made by hand here in Charlotte, Vermont. When you have our pen, answers are at hand. It's a daily treat to capture the moment with your wallet pen. You've got the directions, the number and the inspiration. The bill is paid with panache. Our original small pen engraved with just a touch more in three short words: I Love You. 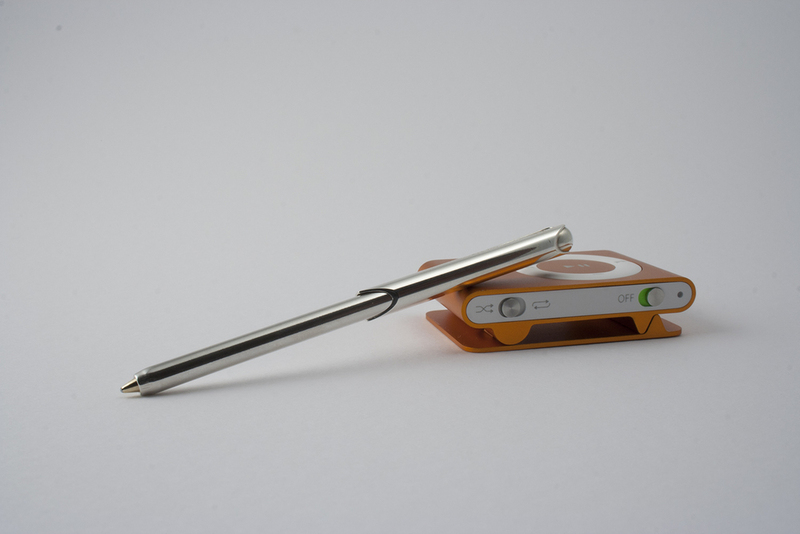 A perfect gift pen for so many occasions - weddings, anniversaries, Father's and Mother's Day, and more. A personalized pen that’s as simple and true as your heart. The perfect gift. Customizing one of The Original™ Wallet Pens only takes fifteen dollars and an extra day. Engraving provides the perfect choice for any occasion: summer wedding, company party, Valentine's Day, Graduation, or just a unique way to say "I Love You." For engraving we use our friends at Mace's Engraving in the neighboring town of Burlington, VT. Gary and Harriet have been at it for 32 years, and not without the help of their Border Terrier, Hobie, who greets me at the door.